Standing in the centre of Warsaw's Old Town you might think that this historic centre has been unchanged for hundreds of years, but everything you see was rebuilt in the years following WWII as the entire city was pretty much razed to the ground. This massive construction job is an example of the energy and resilience of the Polish capital. That energy doesn't stop with the rebuild. These days Warsaw has a busy calendar of annual cultural events, a thriving club scene and some of the country's best museums. Many of the best places to stay in Warsaw are along the banks of the WIsla River which divides the city in half. 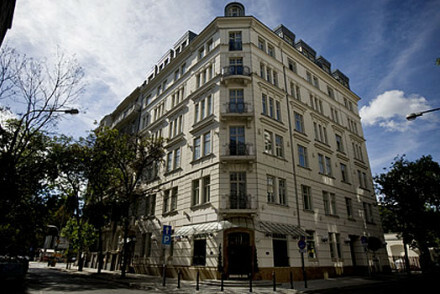 Well known as a relatively inexpensive destination, Warsaw also has plenty of boutique and higher end accommodation. The Royal Castle, once a Mazovian stronghold, and St. John's Cathedral are probably the city's two most prominent buildings and the places most synonymous with Warsaw's strength. Both excellent copies of the original buildings, they're still evocative places, possibly even more so. If you want to compare the surviving buildings with their replacements visit the Old Town Square, where you can see them standing side by side. Warsaw's architecture may not be as beautiful as that of other Polish cities, but it probably has the best museums. If you're interested in Warsaw's experience of the war you might also want to visit the Pawiak Prison Museum and the Jewish Cemetery. Even if you don't fancy the content, it's definitely worth poking your nose into the Palace of Culture and Science - this is the tallest building in Poland, and the views from the top are well worth the effort. Warsaw is also a great place for foodies - yes, some Polish cuisine epitomises comfort food, but it's not all chicken soup, pierogi and vodka - though of course you should also make sure you try the pierogi. Visit the impressive Royal Castle and St. John's Cathedral. Spend time in the city's excellent museums. Wander through the cobbled streets of the Old Town framed by quaintly colourful houses. Take a walk along the scenic Trakt Królewski (‘Royal Route’). The best places to stay in Warsaw get booked up fast, particularly in the summer months, so be sure to plan your trip well in advance. The Rialto offers five stars with authentic Art Deco styling, and rooms starting from just £45 per night. There's also a state of the art spa and a fantastic restaurant. And that's how Warsaw has its reputation for being inexpensive! The Hotel Bristol is another grand Art Deco delight, well located for all the main sights. Autor Rooms is a bright and airy four bedroom townhouse B&B. Spacious rooms boast stunning contemporary design and interiors complemented with plenty of period features. H15 Boutique Hotel is a hotel in a 19th century building containing uber contemporary apartment-style suites. Inspiringly modern, with Italian designer furnishings and the usual complement of electronics. Serious foodies will appreciate Le Regina's Michelin starred restaurant, the elegance of this former palace on a quiet street in the New Town is just as appealing for many visitors. Fly to either of Warsaw's airports, Chopin Airport or Modlin Airport. Alternatively travel by train. Warsaw is served by three major stations with good connections across Poland and Europe. Poland has warm summers and very cold winters. For long sunny days plan your trip in the months of June - August. 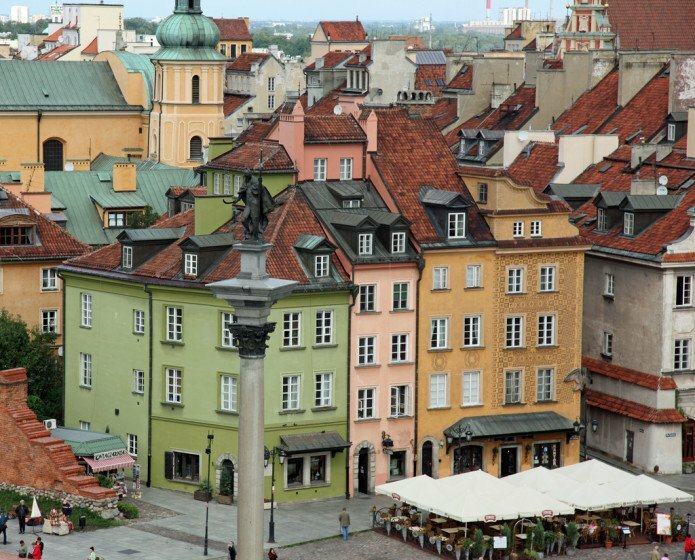 Browse through our list of all the best places to stay in Warsaw. Widen your search to include all our recommendations in Poland. A hotel in a 19th century building containing uber contemporary apartment-style suites. Inspiringly modern, with Italian designer furnishings and the usual complement of electronics. Signature Restaurant serves up an international and modern menu. The perfect base to explore a dynamic city. A beautiful former palace nestled in a quiet street in Warsaw's New Town. A classical exterior with elegant contemporary interiors. Large rooms and suites with private balconies and all the mod cons. Award-winning terraced restaurant and spa facilities. 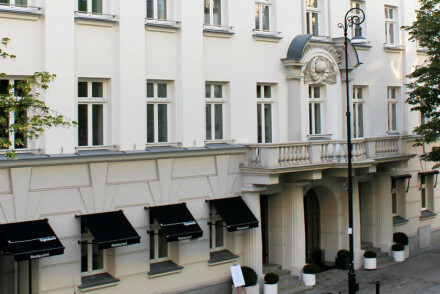 Foodies - The hotel's restaurant is known as one of Warsaw's finest; Michelin starred. Sights nearby - St. Kazimierz Church and Warsaw Uprising Monument. 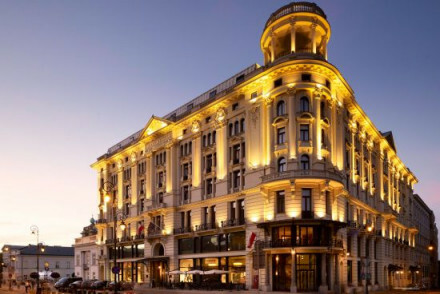 A beautiful hotel with a neoclassical facade and stylish Art Deco interiors. Luxurious rooms and suites in subtle tones with all the mod cons. A top of the range spa, fantastic restaurants, and lively bars. Great walks - Around the Royal Castle.